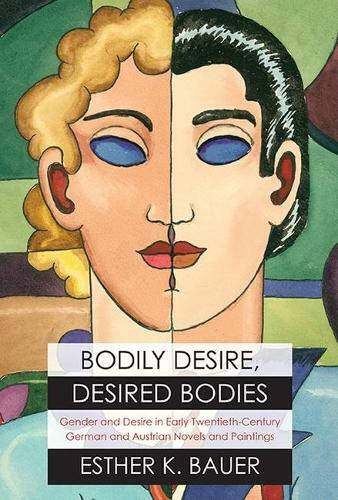 Bodily Desire, Desired Bodies examines the diverse ways that literary works and paintings can be read as screens onto which new images of masculinity and femininity are cast. Esther Bauer focuses on German and Austrian writers and artists from the 1910s and 1920s specifically authors Franz Kafka, Vicki Baum, and Thomas Mann, and painters Otto Dix, Christian Schad, and Egon Schiele who gave spectacular expression to shifting trends in male and female social roles and the organisation of physical desire and the sexual body. Bauer's comparative approach reveals the ways in which artists and writers echoed one another in undermining the gender duality and highlighting sexuality and the body. As she points out, as sites of negotiation and innovation, these works reconfigured bodies of desire against prevailing notions of sexual difference and physical attraction and thus became instruments of social transformation. "The interdisciplinary approach makes this book stimulating and intellectually provocative. ... [Bauer's] bibliography lists roughly 500 titles and her copious notes make up one quarter of the book, documenting her labor and erudition." "Monatshefte"